February is dental health month. 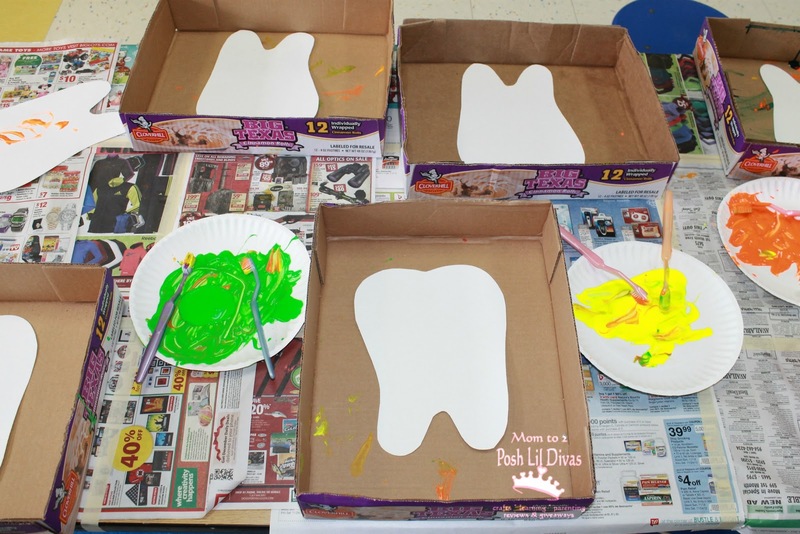 Last week we had a great dental health week at preschool. 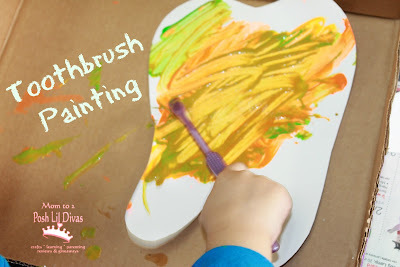 One of the children's favorite activities was by far Painting with Toothbrushes. I cut out a large tooth shape from card stock for the children to paint on. I also supplied toothbrushes and various colored paints. Then, I just let them go for it. The children had fun brushing the paint on, flicking it on and glopping it down. This art activity was definitely not about the end product (though they turned out really cool!). It was all about the process and exploring an unusual painting tool. One word of caution when doing with young children - be sure to tell them NOT to put the toothbrushes into their mouth. I mentioned this many times with my 3 year olds and still had 2 of them try to go for it. This is definitely best as a supervised activity - just in case. 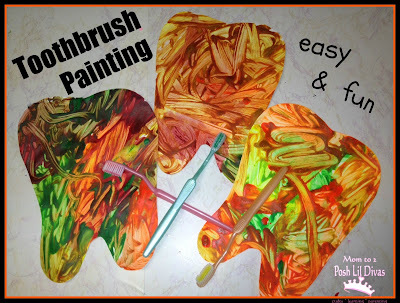 Have fun painting with toothbrushes! 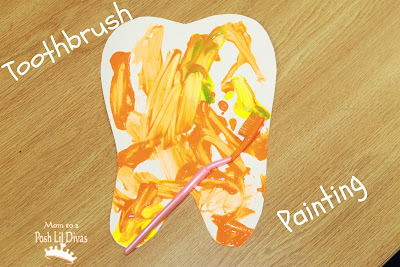 and our Dental Health Pinterest Board for even more fun ideas. Painting art project and teaching dental hygiene ... I love the multi tasking aspect of doing this one project to learn both!!!! What a fun way to teach good teeth brushing habits!